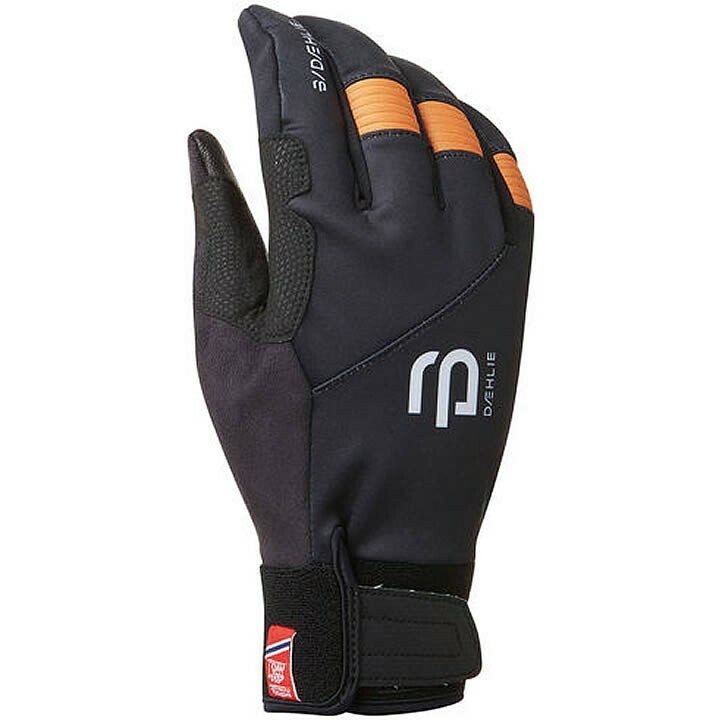 The Bjorn Daehlie Symbol glove is a warmer racing glove intended for training and competition in cold temperatures. It has a tight-fit and features wind and water-resistant material as well as smooth sheepskin leather on the palm for a secure grip. The liner is made from brushed tricot, which has a structure that wicks away moisture fast and Thinsulate insulation boosts warmth. An articulated fit contributes to warm hands and a great grip, complete with adjustable cuffs, a terry nose wipe and a smartphone friendly fingertip.